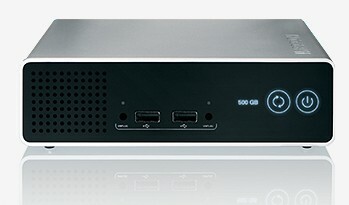 I have the 1tb datatank gateway from Freecom. I too was VERY anscious to get this piece of hardware, but ever since receiving it, it’s just been “ow bummer” every time I look into the next service it provides. and that is it ladies and gentlemen! I lmao when I saw this. The wlan is unstable – when working, but with current firmware it switches off completely every 2-3 days. Even thou it states gigabit lan, I wasn’t able to copy data faster than 12,5mb/sec to the tank, or in other words, ½ usb data transfer rate. This was using a computer ofc with gbit lan, a cat6 stp cable (state of the art). The dhcp server doesn’t offer client address reservation from mac. And on top of that, it offers addresses totally random over the range. Give it range x.x.x.10-30 and boot up a fresh machine connected and it might get the address x.x.x.27 how whack is that? All in all, I should return this piece of crap too, but seing as I got it from GB and live in DK, I don’t intend to go through the hassle just yet, guess I’ll give them one, maybe 2 months more for getting the software in order. Otherwise I’ll just sell it as a 1gb storage here on the used market, cuss really, thats the only thing this box is atm. I can confirm that WLAN was unstable; transfer over 100Mb was around 5Mb/sec. It is ridiculous that companies selling what should be most important – place for your data – are so bad in testing their own software before releasing product. I seriously advice anyone thinking of buying this to think again. On paper it looks like a pretty nifty bit of kit, in reality it has come to market far to early & is plagued with bugs. if you overwrite a file with a modified but smaller version of the same file, it doesn’t, it just looses your newer version and keeps the old! gigabit lan users may be interested to know hat when writing to the HD, your network utilisation will be approx 6%. I so far have lost 1 ISO file to the NDP, due to a cyclic redundancy check, after moving the iso file from 1 directory to another! please check the forums before you buy, this should be a good product when the bugs are ironed out, but for a “PRO” device (laugh) the bugs should be ironed out before release. THis firmware version 4.7.2 (I think) should be a beta release, Its just so shocking. Have the same problems – could anybody advice on a different NDP/NAS brand that have the same capabilities and features as supposed to be contained in the Freecom solution – but actually works? Well, I gave up of NAS solution. Will build machine with 2 x 500Gb disks in RAID 1, energy efficient processor (AMD LE or similar) and put Windows Home Server or something like that – it should not cost more than 150€ on top of Freecom NDP 500 price. Only problem is space (you need to find space for yet another machine). On other side, you have full blown machine and not NAS like Freecom one. I use D-Link’s DNS-323 NAS. It too have finicky firmware and had its share of teething problems when it was introduced. For instance, its ext3 support was so buggy that eventually D-Link decided it’s not worth the trouble and completely disabled it in 1.03 firmware, leaving ext2 as only option. Good side is very active community at http://forum.dsmg600.info/f3-DNS-323-General-Discussion.html so it’s bearable. Takes very little space and has Gigabit ethernet. Apart from space (major obstacle) and price (still in trial mode, so free) all other points are on side of decent, stable and full-proof server. Well, my drive is great – it works well. You have http, ftp, ssh access etc. etc. which you don’t get anywhere else without hacking the firmware. I get up to 50Mbps data rates which is fine. I can access it from XP, Vista and Ubuntu and so far no data corruption problems at all. I don’t use it as a backup – I use it as my main network fileserver and backup from it to an external USB drive. The only problem I had was that the built in Backup to it’s own USB port is not very intuative and doesn’t give you much info on what’s going on. Apart from that it’s far better than alternatives such as Maxtor and Western Digital that lock you down totally. But, if you do have 4.2.7 firmware, I strongly suggest to test drive in a way stated in post. You won’t get corruption straight away, only if you are saving new (shorter) version of file over longer. Well, I got mine yesterday (Network Drive Pro 1TB). Firmware 4.7.2 and I can confirm the above issue as far as I’ve tested with the ND and Vista. There also seems to be occasions where copied files are padded with additional bytes (zeroes). Luckily DABS (dabs4work.com) incorrectly sent me a previously returned drive (it had “Net Drive 4” written in blue marker pen on the top) so they will be getting the unit back and I think I will be paying a bit extra for a Netgear ReadyNAS unit (but need to do a bit of homework first! Shame, but this unit is definitely “unfit for purpose”. In any case, pass Freecom drive – they are simply not serious enough when it comes to serious stuff: our data. even the source code is out. & ipkg packages are on line, not all work at the moment ie the C++ ones, but its being worked on by a strong community. Hi, bought the Freecom 1TB network drive. Formatted to NTFS whilst connected via USB to my XP Pro PC (through Administrative Tools and then Computer Management in Control Panel). Plugged back into wireless broadband Router using ethernet cable. Now everytime I try to Map to drive and open it (i.e. entering “\FNDPublic” I keep getting prompted for a password, the username in the username box is “FNDGuest” and cannot be changed. I only know the password supplied when I bought it “Admin”. I cannot access the drive. Will I have to convert back to FAT32 or will a Firmware update release work. Sorry, please ask this in forums and/or technical support. I returned my Freecom and built real computer – it was easier solution.